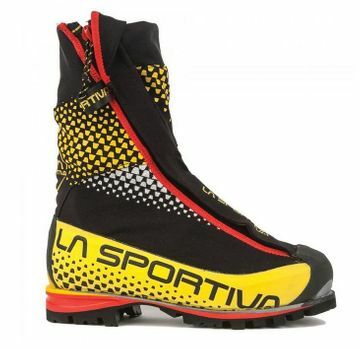 "The G5 is a highly technical big mountain boot designed for visionary lines. This synthetic, weatherproof boot ensures maximum fit and performance through its Boa lacing system, while the ankle flex zone supports ease of movement in rough terrain. The external Cordura gaiters and internal water resistant membrane ensure your feet stay dry in full conditions.